Planning your next family vacation? These new resorts in the Caribbean will keep the whole crew entertained. Planning your next family vacation? You’ll need a resort that offers something for everyone, from your video-game-obsessed son to your spa-loving sister to your golf-obsessed father-in-law. Fortunately, there’s a new crop of Caribbean hotels ready to welcome families for sun and fun, minus the “I’m so bored!” drama. From Cancun to St. Kitts, here are our five of our favorite new family-friendly hotels in the Caribbean. Kids stay free through December 20 at Panama Jack Resort Cancun, a new all-inclusive resort (formerly the Gran Caribe Real), smack in the center of Cancun’s Hotel Zone. The beachfront high-rise, which opened in December 2017, offers 458 suites, including 40 that sleep two adults and three kids, and offer direct access to the kids’ club, Camp Jack, from the terrace. A whopping 13 restaurants and bars serve up something for everyone (try the Mexican at Casa De Rosa) and you can work off the calories during a Zumba class on the beach or in the fitness center. Teens are taken care of with the #Hashtag program of activities (think video game competitions and hangouts) while Camp Jack’s pirate-themed water park, mini golf and science and fashion rooms keep the younger set occupied. 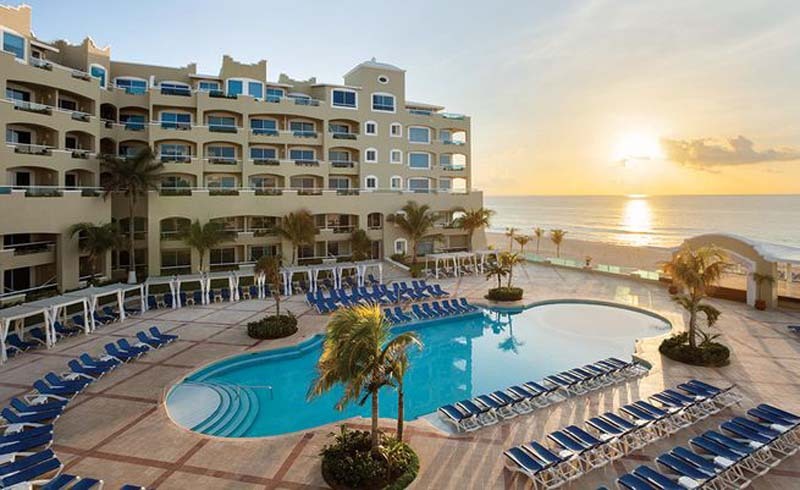 Riu’s latest Caribbean all-inclusive opened December 2017 just north of Cancun on Costa Mujeres, an area that’s poised to become the city’s next hotel hub. The beachfront resort offers 740 rooms, including several family suites with two bedrooms, a living room and two bathrooms, accessed through a single entrance. 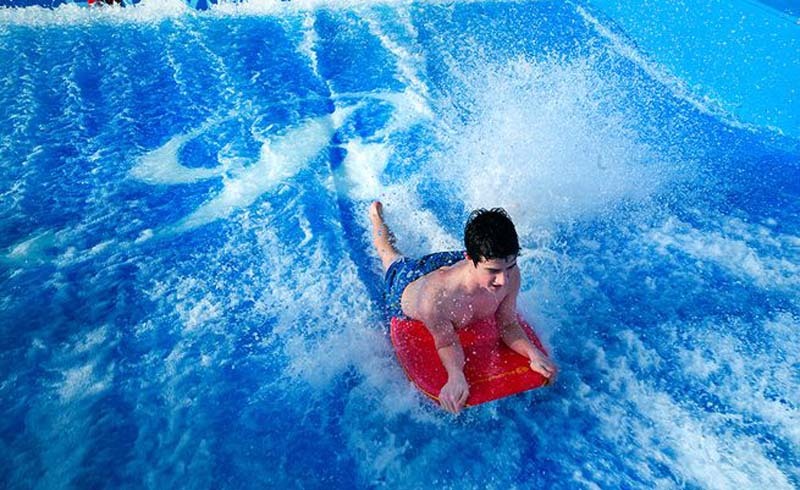 Beyond the resort’s slice of the 6-mile-long beach, guests of all ages will enjoy Splash Water World’s massive waterslides, while little ones can wade at Riuland’s splash park, complete with a pool, fountains and mini slides. 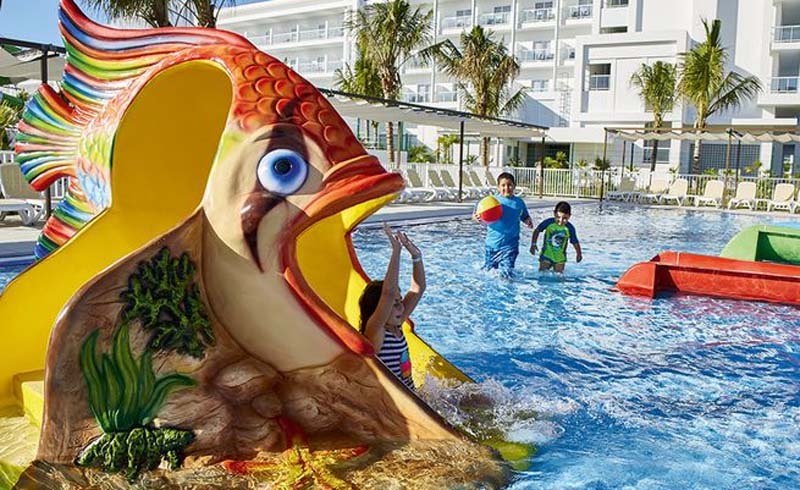 Access to the waterpark and Riuland is included; children under three stay free; and kids ages 4 to 12 are half price. 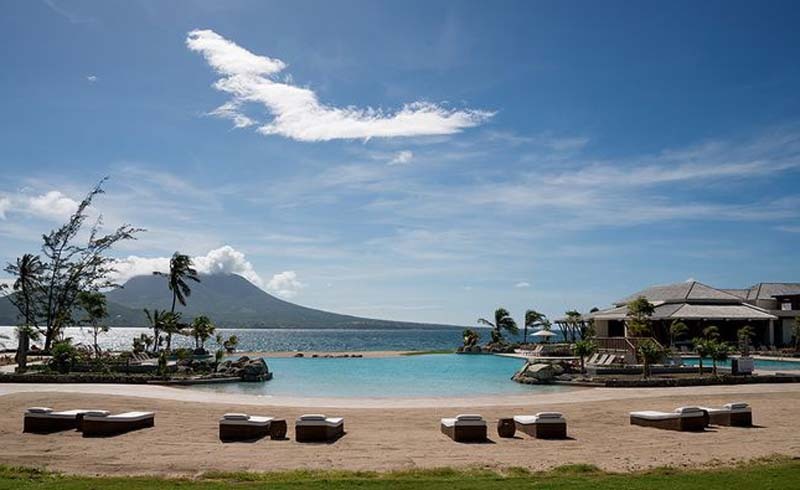 Park Hyatt’s first resort in the region debuted November 2017 on the Southeast Peninsula with views of sister island, Nevis (just 3 miles away) that are as compelling as the resort’s features. Chic suites are decorated in a refreshingly contemporary style, and some of the 126 rooms have their own oceanview plunge pools. The cuisine is top-notch, leaning heavily on local ingredients and cooking techniques, particularly at Fisherman’s Village, an open-air ocean-edge spot that serves lobsters fresh-caught from Kittitian waters. Wellness warriors will appreciate the Miraval Life In Balance spa, where you can take meditation classes in a replica of a colonial-era sugar mill. And children will be fully occupied at the Island Fort kids’ club, which boasts a rock-climbing wall; basketball court; and, for when they’re tuckered out, a nap room with soundproof walls and sleeping bags. 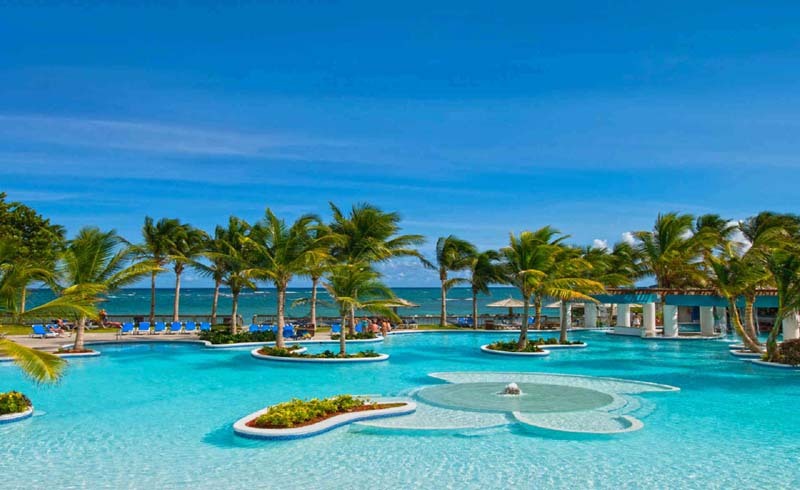 Located at Nassau’s Baha Mar resort complex, the plush 237-room Rosewood Baha Mar opened in June 2018 on Cable Beach. Some highlights: a six-bedroom/six-bathroom villa with a private infinity pool; farm-to-table cuisine inspired by six world regions at Commonwealth; and access to Baha Mar’s casino (the Caribbean’s largest) and Jack Nicklaus-designed golf course. 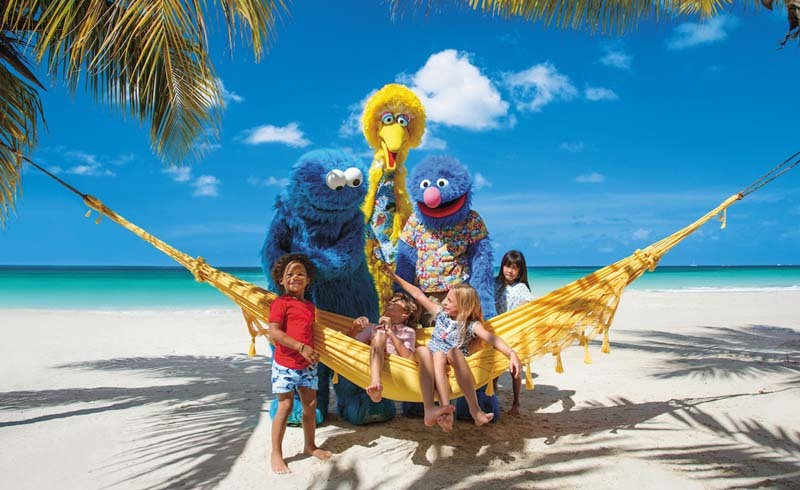 The children’s program here is particularly impressive, centered around the complimentary Chickcharnie Explorer’s Club, also shared with two other Baha Mar resorts. 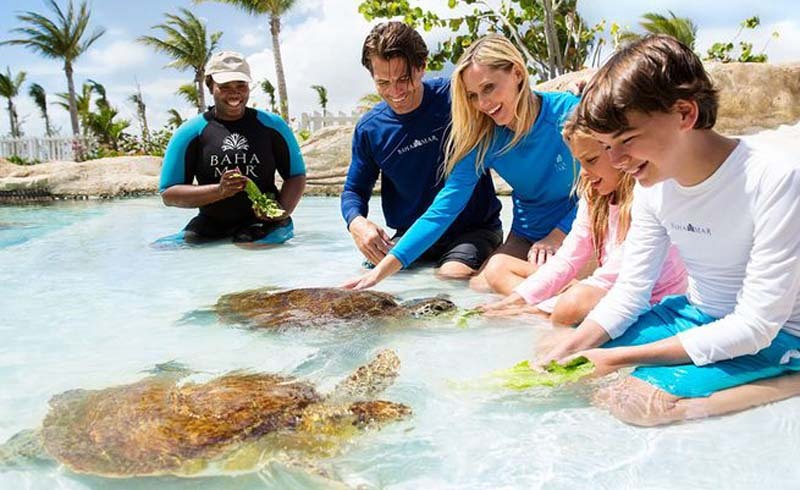 Here kids between 3 and 12 can take tennis and snorkeling lessons; go bird watching in the onsite aviary; and encounter stingrays, starfish and turtles in the adjacent marine observatory. A prime location on the palm-fringed sands of Bavaro beach is just one of the perks of Royalton Bavaro Resort & Spa, a family-friendly all-inclusive opened in January 2018, where 24-hour room service and high-speed Wi-Fi are included. Other amenities include some that are a first for the Canada-based hotel chain (a FlowRider wave machine and 1,200-foot-long lazy river will be big hits with the kids), as well as four-bedroom family suites that sleep up to 12 and swim-up rooms that open directly onto the pool. Craving some adults-only time? Leave the big kids at Hangout teens’ club (where they can play video games and take kayaking lessons) and the under-12s at The Clubhouse while you sample the fare at eight no-reservation-required restaurants and nine bars.